Blizzard Entertainment’s epic multiplayer first person shooter, Overwatch, is now out and its good… it’s really good. Available on Windows PC, Play Station 4 and the Xbox One, Overwatch is taking gamers by the hordes with its immersing characters& graphics, environments & maps,a whole new set of hero skills and, did I mention the amazing FPS game play. The game features 6 player teams fighting it out with roles chose from offence & attacking heroes, defense heroes, support heroes and the all new “Debuff” heroes. The maps are well balanced according to reviews and impressions so far and the art direction is the best of any shooter in recent memory. However, that does not mean that the game is without technical flaws and it’s not like we will tell you the problems without any issues. The best way to counter most of these problems is to by using a Gaming VPN that reduces lag, bypasses ISP throttling and you can play on a high speed server. Overwatch was released on 24th May 2016 after completing successful Beta releases in North America, Europe and Asia. Some best vpn users reported issues of lag spikes & worsening frame rates in Overwatch with users reporting latency on particular maps and animation lag during team fights. While no lag was recorded during stress testing weekend the issues began right after. Check out what Overwatch users have to say on Reddit. If you notice, Overwatch does not require a PC made in Andromeda galaxy. A simple PC with an i5 processor, 6 GB Ram and a Radeon 7950 will suffice. Overwatch is a CPU intensive game, which means the game will drain all the raw power of your PC to maximize performance. Rather than having a massively powered graphics card, it is recommended you have a powerful CPU (RAM inclusive) with a decent graphics processing unit. A number of users reported events with lag spikes ruining their Overwatch experience after updating their OS to Windows 10. Although I’m not an Overwatch gamer I found the following page while configuring my laptop for StarCraft 2. The official Blizzard blog provides detailed information on the active ports that you should consider forwarding through the Windows firewall. In the search box type ‘Firewall’, select Windows Firewall and press Enter. Click Advanced Settings, in the left hand menu. In the left hand menu click Inbound Rules. From the right hand, under the Actions click New Rule. Now, click the Port option, and click Next. Select the TCP and in the Specific Local Port box enter 3724, then Click Next. Select the ‘Allow the connection’ option, then click Next. Ensure all 3 Domain, Public, & Private check boxes are ticked, now click Next. Enter any name for this rule, then click Finish. You have successfully configured & forwarded TCP Port 3724 on your Windows 10 PC. You can do the same trick for all available ports and forward them through your firewall to ensure you don’t experience lag spikes due to the update. For more information about port forwarding and how to do it on your router you can also check out http://portforward.com/english/routers/port_forwarding/. Turn off BITS (Background Intelligence Transfer System) – this kills windows updates, so you have to run them manually. Windows 10 has S*** wireless card drivers, so if you’re using an old card upgrade the card or simply use a wire to connect to the router/modem. Turn off Cortana, since she is constantly connected to give you real time search results. For gamers who use routers with QoS packet shaping, Blizzard recommends contacting the manufacturer to disable QoS services or alternatively configuring the router to use with Overwatch. Gamers who wish to turn off the QoS packet scheduling on their routers can do this by going to their browser and typing in “192.168.1.1”, which is the default IP address for most router configurations. In cases you cannot access the router configuration with the above address, it has been changed by the manufacturer or administrator. Contact your IT administrator or manufacturer for the correct address. Alternatively, you can hunt through Portforward.com to see if your router’s setup guide is listed there. As gamers constantly complain over erratic lag spikes in Overwatch, there must be a one stop solution for them to kill the enemy every Overwatch gamer is facing. Hong Kong based KillPing is a leading edge ping reduction app readily available to gamers with multiple lag reduction features. 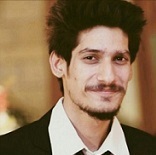 Kill Ping employs its high speed & state of the art servers around the world to enable online gamers to connect to servers closer to the region they want to game in. For instance, if a Malaysian gamer wishes to play Overwatch in EU region they can choose from a vast list of European servers including London, Frankfurt, Milan, Paris and many more (check out the list of Kill Ping servers on their official website). It is suggested to use tunneling protocols with low strength encryption primarily OpenVPN (UDP & TCP), gamers can however also use iKEV2 protocol because of its high speeds. Having an incapable internet connection can be a major factor causing Overwatch packetloss. Unstable bandwidth can cause packet data to travel slower and induces packet data loss, causing massive lag spikes in Overwatch gameplay. This also causes input lag, as identified by many gamers during Overwatch gameplay. Input lag occurs when a gamer clicks the mouse button or command heroes using the keyboard but the action either doesn’t occur or response is delayed. Disable download software in the background including Torrents, download managers, auto-updates (for Windows, Anti-Virus and other applications). Ensure you are connected using a CAT5E or CAT6 cable rather than connecting through the WI-FI. Upgrade your internet connection. It is imminent to have a high speed broadband connection to ensure fast data packet delivery and minimize data packet loss. Once a test has been conducted proper measures can be taken to counter Overwatch lag spikes during game play. Reviewers and gamers alike have also demanded that Blizzard adds a feature to test & check lag before beginning a match with the official release of the title. There is no way to check or test ping on Overwatch servers on the Xbox. There is no way to check or test ping on Overwatch servers on the PlayStation 4. While there is a built in speed test to test the speed of your broadband connection in the PS4 there is no dedicated tool or app designed to test the ping of Overwatch servers. Render scale: This option upgrades and downgrades the rendering resolution in Overwatch. If graphics are not sharp enough turn this setting to “High”, it will radically affect your frames per second (fps). Do remember the PC will start heating up in case you have a built in graphics card. The “High” option (100%) is optimized for your default display resolution (set under Display Settings). The “Ultra” option increases rendering resolution by 150%, while the “Epic” option increases rendering by 200%. Local Fog Detail: Setting this option on “Low” improves your fps. Although gamers & experts have been unable to explain what this option basically does, it does impact massively on frames per second. Model Detail: Improves overall character and scenery graphics but does not have a massive impact on fps. Shadow Detail: Although this has minor effect on lag and fps, setting this option off improves mouse accuracy and aiming. This option basically makes shadows appear blurry when set to low and makes them appear sharper when set to Ultra. Refraction Quality: Negligible improvement in input lag (mouse) and fps, gamers can test with this option on and off. Local Reflections, Ambient Occlusions, and Dynamic Ambient: These settings cause major mouse lag and should be kept off, but has no effect on fps. Texture Quality: For gamers with ample of vRAM it is a good idea to keep this setting on max. There is no effect on fps and improves the texture of all elements in game. Graphics cards with 2 GB or less vRAM keep this option on low or off. Texture Filtering Quality: Also necessary for good textures in scenery and on characters. This setting will reduce fps and must be kept at medium, low or off. Dynamic Reflections: Affects fps significantly and must be kept off. Anti-aliasing Quality: Known for affecting fps and hence must be tested properly on Overwatch. Some gamers have established that it has not caused them any lag. Simple Ambient Light: Makes no difference to improve or degrade fps, it is recommended to test it first on and off. While Overwatch was built with the mighty optimization power from Blizzard’s magical programming team, it still has its limits when it comes to scaling down to older hardware. If you have a weak graphics card or a CPU, then your frame rate might feel choppy or the game could even suffer from hiccups as a result of bottlenecks. Since Overwatch is a CPU intensive game, having a high quality resolution monitor can also be very handy. Since the game has inbuilt 4K capabilities, it is always good to have the best output devices ready for a great Overwatch experience. Upgrading to an Intel Core i5 CPU with a decent graphics card might alleviate the issue. Here’s a list of video cards that can run the Overwatch with optimal performance. Before we even go in the bits and bolts of eliminating lag from Overwatch we MUST go over the minimum system requirements to play the game first. The strangest fact is that no other games are lagging for PS4 users, with Overwatch being the only game posing lag problems for multiple users. The problem lies at the core of Overwatch servers since both PC & console users are experiencing severe lag spikes as they try to find matches. Another user also established that uninstalling and reinstalling the game has made no significant difference either. Finally after much research I found a sub-reddit with a proper answer, Blizzard mod Araxom responded to a user query acknowledging the issue and informing that it is being currently investigated. My honest suggestion for both PS4 & Xbox One users is to contact the official blizzard support center in case you experience lag spikes. The unveiling of Overwatch has allowed Blizzard to step into the arena of first-person shooting games, competing with popular titles like COD and CS: Global Offensive. Though the game is fun to play and boasts extremely beautiful graphics, it does come with some issues. As of recent, the most common one includes the rubber banding effect, which creates a serious lag and results in players jumping around the screen while you are unable to make any movements. Many threads on Battle.net and Reddit indicate the issue is actually common among players from all over the world. Though mainly a server side problem, there were indications hinting towards a broader issue with Asus ROG users. If you are running the same system, a good solution is to disable/uninstall “GameFirst III” from your computer. Once done, restart your computer and then try playing the game. If the Overwatch Lag 2017 or rubber banding effect continues, there is another fix available. This one usually revolves around a slow internet connection, but many users claim they have a high bandwidth – meaning there is an Overwatch Lag 2017 problem in the game itself. After searching for plenty of solutions and receiving no good results, we came across a simple fix. If you are gaming via Wi-Fi, it is a good chance your PC is using a PCI adapter. Head to Control Panel > Network and Internet > Network Connection. Right click on your adapter and select “properties”. Uncheck “QoS Packet Scheduler” and thank us later! There are games Xbox games that give lag or rubber banding issues, despite having a fast internet connection. Sometimes the problem revolves around server load, but other times a little tweaking is required. Check out this support page from Xbox to fix slow performance issues. If these do not work, consider the below fixes. If you were not experiencing lagging issues before and the problem seems to come up all of a sudden, it could be possible that your router is giving trouble. Overtime your router may get clogged up and stop working as intended. To fix the lag issue, consider resetting the device and see if that improves your connection. Also, make sure to check your network configurations to see if there are no firewalls messing with the game. Wi-Fi is great for browsing the internet, streaming videos online, or even downloading torrents. However, if you want to enjoy high speed gaming, opting for a wireless connection is not the best decision. Almost all high latency issues seem to disappear when you connect an Ethernet cord directly at the back of your console. This way, you receive a more stable connection and hence avoid all lag or rubber banding issues. 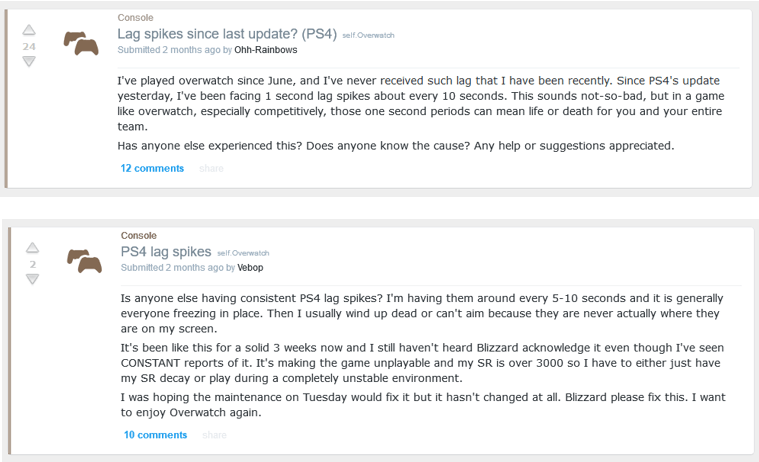 Many PS4 gamers are also opening up about the Overwatch Lag 2017 issue. This indicates that the problem is not only on a single platform/device, but in fact on all mediums. Where there is no dedicated solution for fixing the Overwatch lag PS4 problem, you may want to try opting for a faster internet connection. 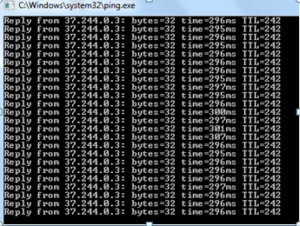 Many lag and high latency issues seem to arise with poor network speeds. 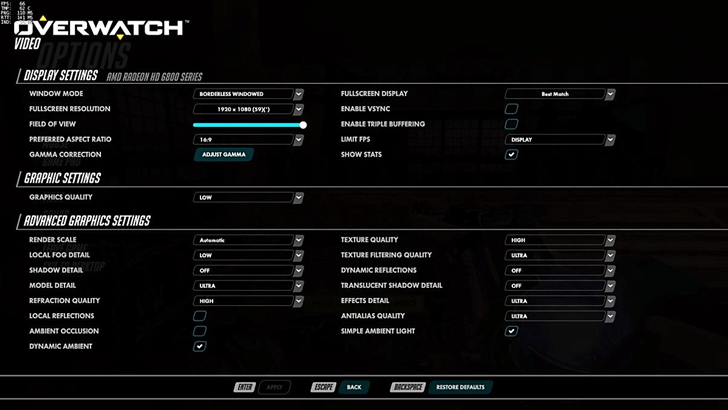 Nevertheless, if you do indeed have a fast connection, consider trying out these performance settings from PlayStation to fix the Overwatch Lag PS4. All everyone wants to do is play Overwatch without invisible internet problems ruining their day. Now, there could be many reasons as to why the gaming is giving lagging or rubber banding issues. If a slow internet connection is not one of them, your hardware may be one issue. This goes true for those gaming on their PCs. Both RAM and GPU are essential for ensuring a smooth gameplay. Consider upgrading your system for better FPS and ping. If all the above solutions fail to work, then the final resort is to opt for an Overwatch VPN. 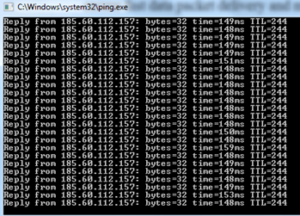 Local ISPs may be limiting bandwidth from games, hindering the entire experience. If you want to game freely, choose a Overwatch VPN with a dedicated network laid down for gaming data. This way, you can bypass bandwidth restrictions, as all game traffic passes through an encrypted tunnel. Subsequently, you enjoy an increase in data transfer rate and minimum Overwatch lag. Overwatch is a trending challenge for gamers from all over the world. Smooth game play, brilliant story line, new characters, extraordinary hero skills and the Blizzard brand all promise that Overwatch will be a marvelous addition to the online gaming arena. Overwatch faces sturdy competition from the like of Team Fortress 2, HALO, CS: GO, Left 4 Dead, and Call of Duty but it does have great potential to be a global success, take the lag away though. Thanks for commenting here fk u. We apologize for the outdated information. This guide actually needs to be revamped with new and useful tips/tricks. We have added it to our pipeline of updates for the new month. Bear with us a little.